This summer at the "Maine Event" we are having a short felting workshop presented by Janine, my new friend from Ontario who recently moved here. 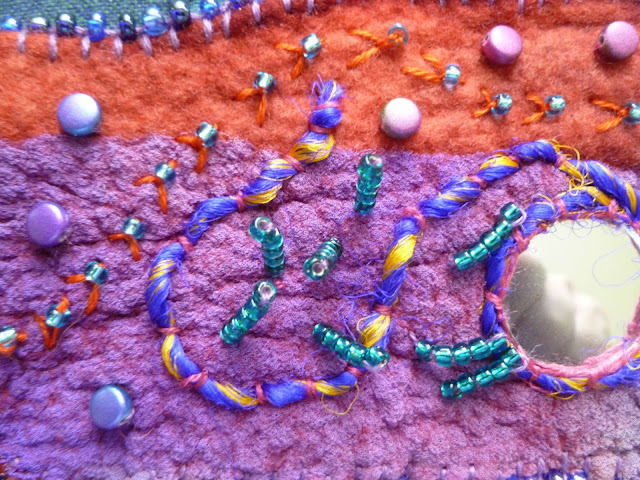 We are also having a workshop on adding stitch to our work as well as some beading. 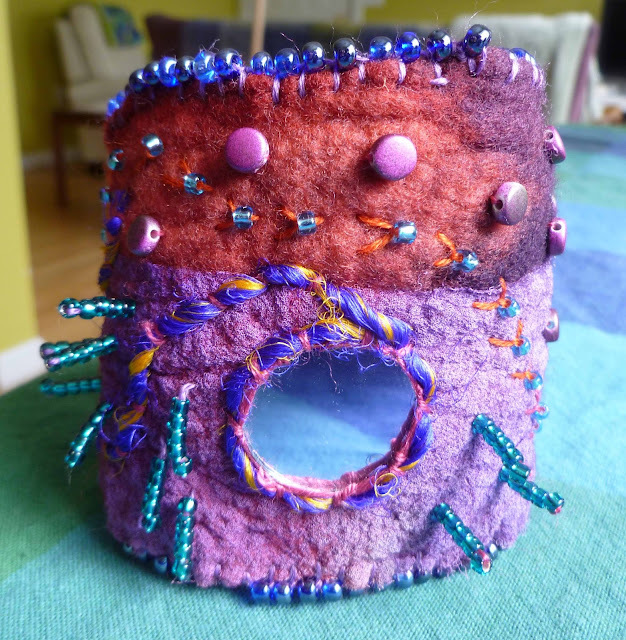 Then I thought if people wanted to, they could practice their stitch and beading on their felted piece. In that vein, I decided to get a piece of felted scrap out of my basket and make a cuff. 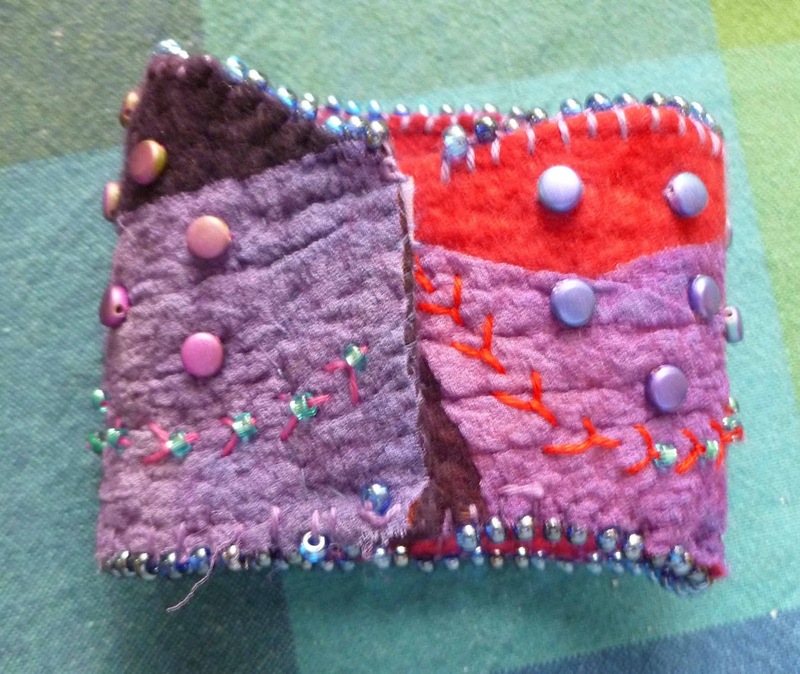 This scrap is felted wool with silk chiffon felted on to it. 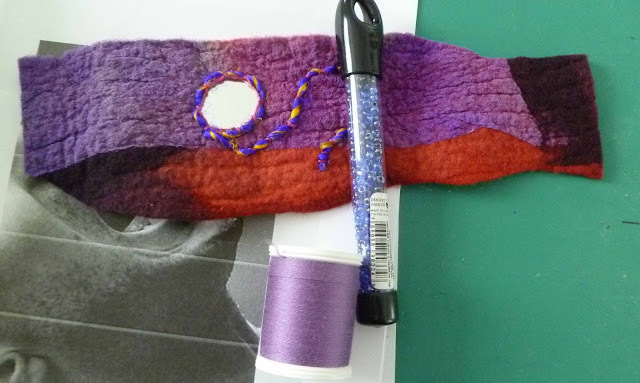 I cut it into somewhat of a "cuff shape" and got to work. First I stitched in a shisha mirror. 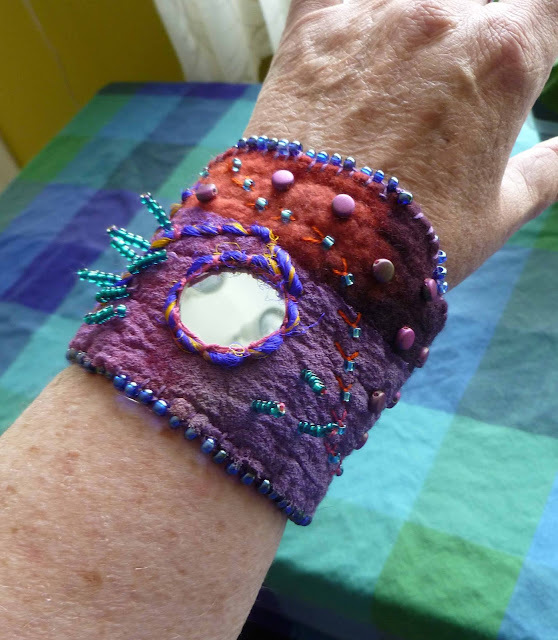 Then I couched some sari yarn on the cuff and around the mirror. 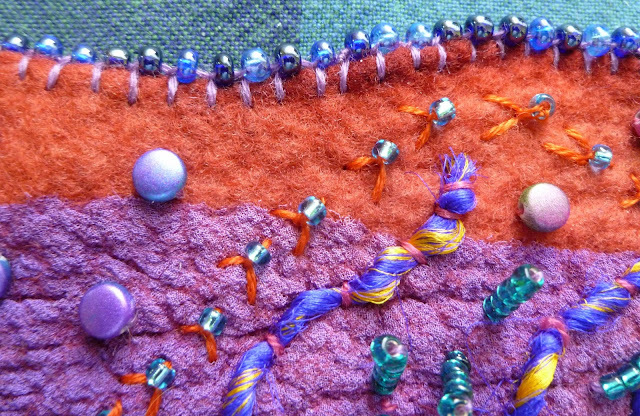 I stitched these beads on using the fly stitch. 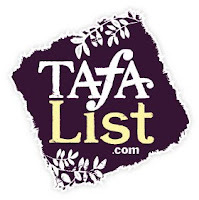 I had some two toned flat round beads that looked like they were raku. After that I made some dangley beads and called it good. Beautiful work! Nice way to show off your stitching and beading skills! 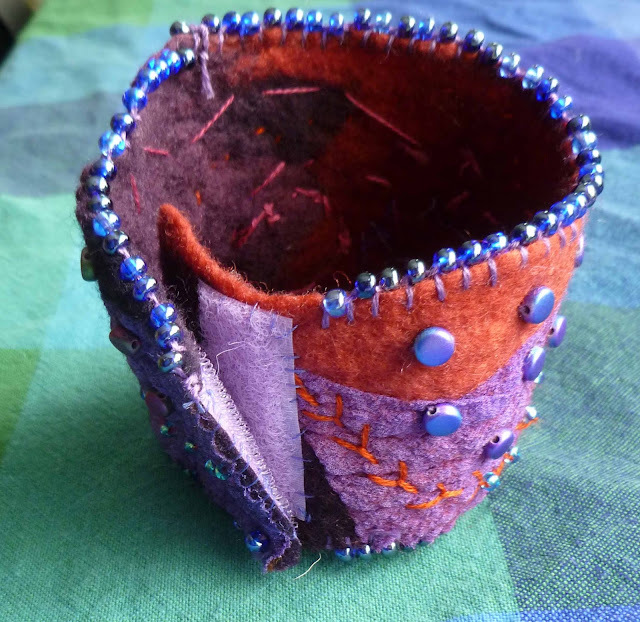 What a nice cuff you made, beautiful beading and embroidery, my compliments Beth! What a gorgeous transformation, Beth!!!!! Thanks for sharing the process. Just lovely and the detail photos are so good. First, let me mention that I like the way you store your impressive bead collection. Second, the cuff is exquisite.